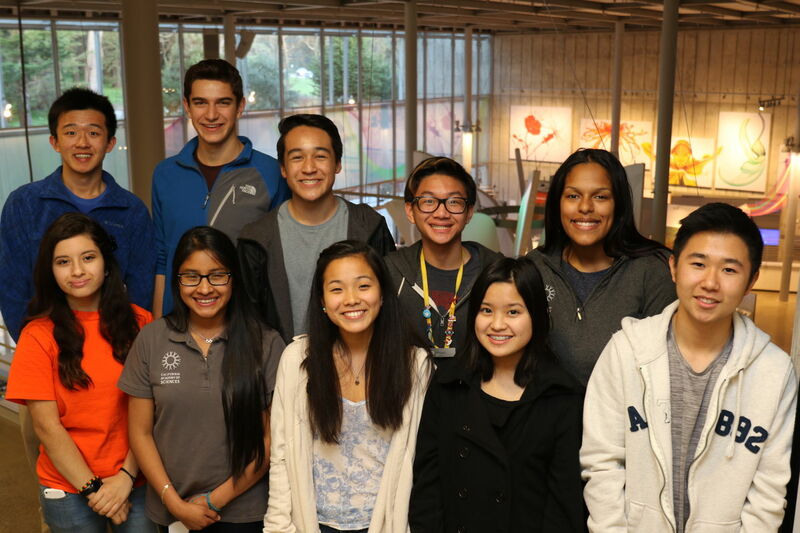 The Teen Think Tank at the California Academy of Sciences was hard at work last week reviewing submissions from our #EngineerThat student media challenge. You can view their favorites (and vote for your favorite) here. We wanted to hear the teens’ perspectives on being peer judges for the challenge and also what they learned about communicating engineering solutions using multimedia. Here’s what they had to say. What was your role in #EngineerThat challenge? We helped judge the submissions from the #EngineerThat challenge. We spent time reviewing each of the submissions and jotting down notes. After reviewing all of the submissions, we had a group discussion about what we liked and what we thought could be improved. At the end of the review session, we took a vote of our top five submissions. How did you feel about reviewing your peers’ submissions? We were impressed with the creativity, designs and dedication to solving issues that affected the participants. It was difficult to not compare ideas to one another, especially when there was such a wide range of problems and solutions. It was also difficult to understand some of the problems when they were specific to the participants. Not all of the submissions had solutions that were connected to their problem. It was challenging to judge submissions that were not clear, which forced us to make assumptions based on the information presented. What did you learn about what makes a good engineering story? Being specific and presenting effectively makes a good story. It is also important to consider what the design constraints are, so that you can look at the problem at all angles to create an solution. It is equally important to make the problem clear and compelling. What overall feedback do you have for the students that participated? Everyone did a great job tackling a problem that may be overlooked by other people. The solutions and thoughtfulness of the submissions were inspiring. What advice would you give to youth who want to participate in an upcoming challenge? Present all of the information clearly. Make sure the problem and solution are connected and related. It is important to know what the judging criterias are and make sure to meet them. Any other takeaways that you have from participating? It was great reviewing the submissions as a group. We were able to look at the submissions from different perspectives. It was interesting to see the range of problems other youth are facing or have on their minds and that can be solved with engineering principles.